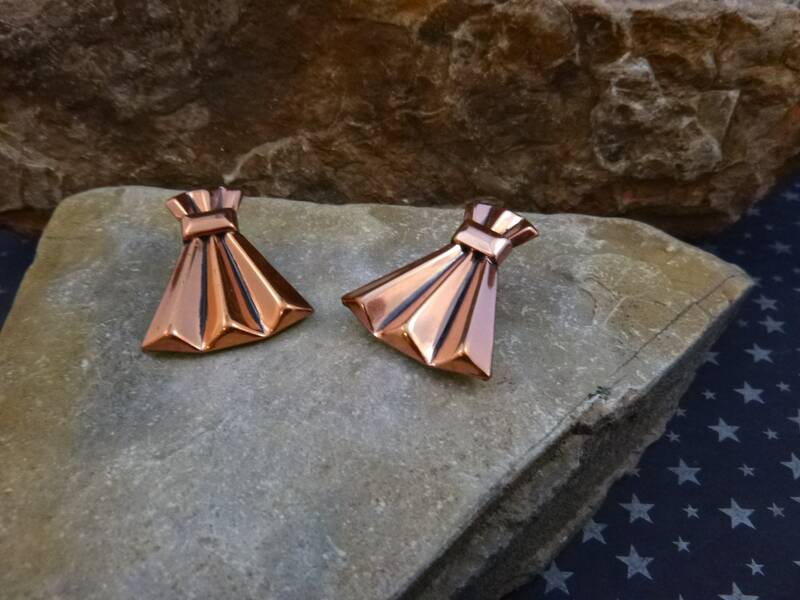 These beautiful modernist copper clip on earrings are from the l950s with the marker’s mark “©Renoir” in script on the outside clip of each earring . This was a designation used in the l950s by the Renoir Jewelry Company of California, founded by Jerry Fels in l946. The company closed in l964 and was well known for their well crafted copper jewelry and exceptional designs. 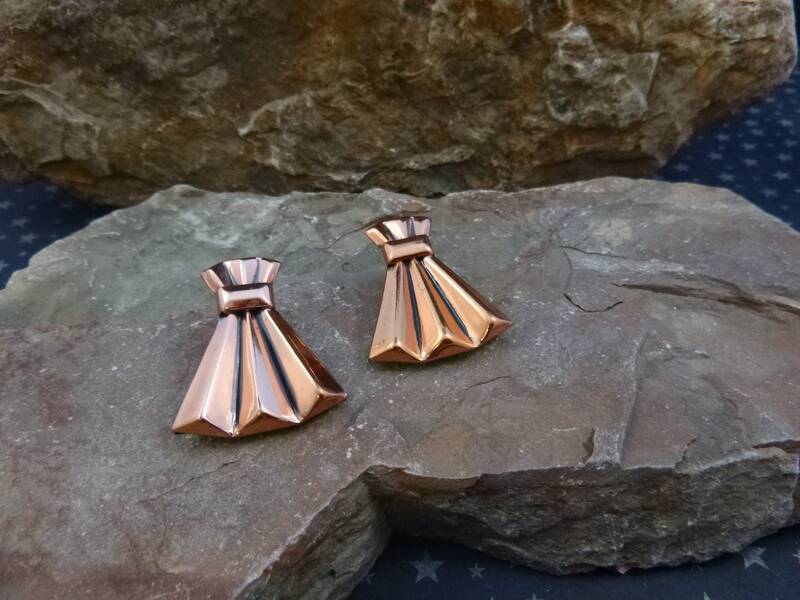 These beautiful earrings are in the tailored tradition of much of Renoir’s copper jewelry. 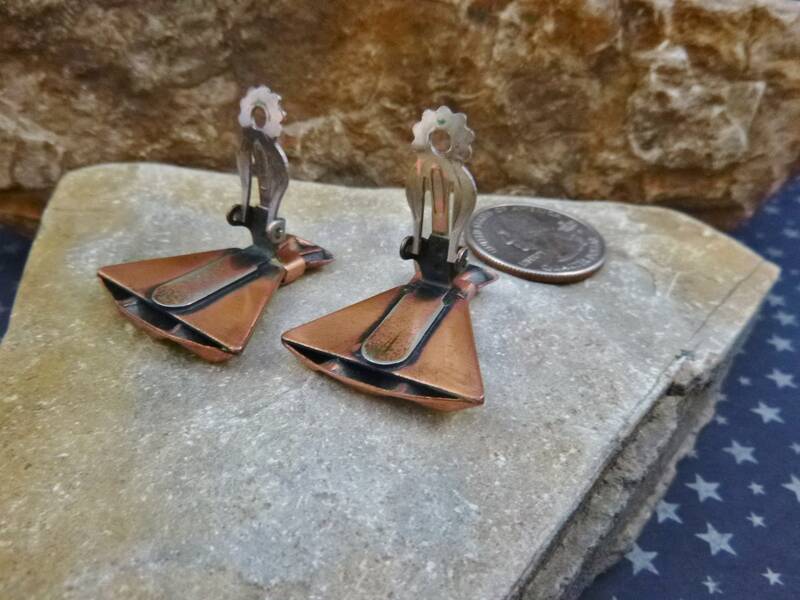 Ones similar to these are featured in authors Burkholz and Kaplan’s book, Copper Art Jewelry. At the time of publication in l992 they listed their value in the “$45-65” range. 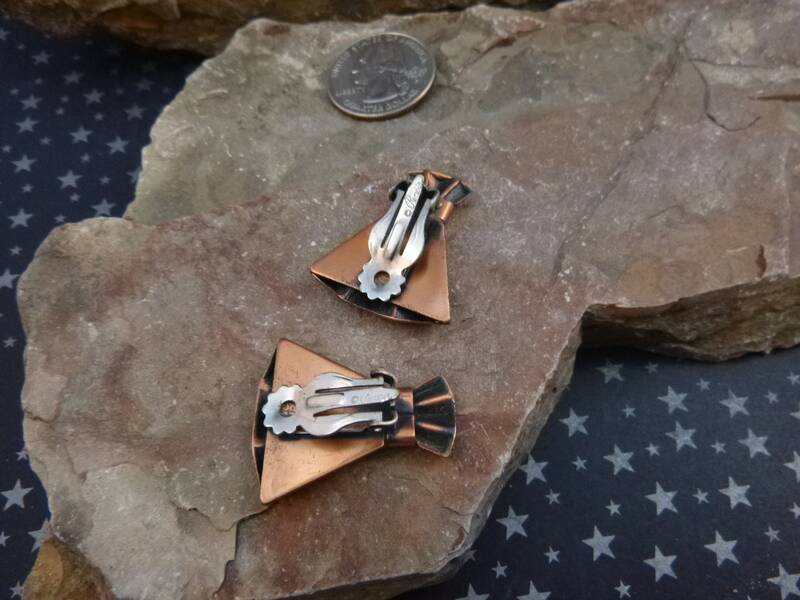 I found these earrings while vintage shopping along the Front Range of the Rocky Mountains in Colorado. 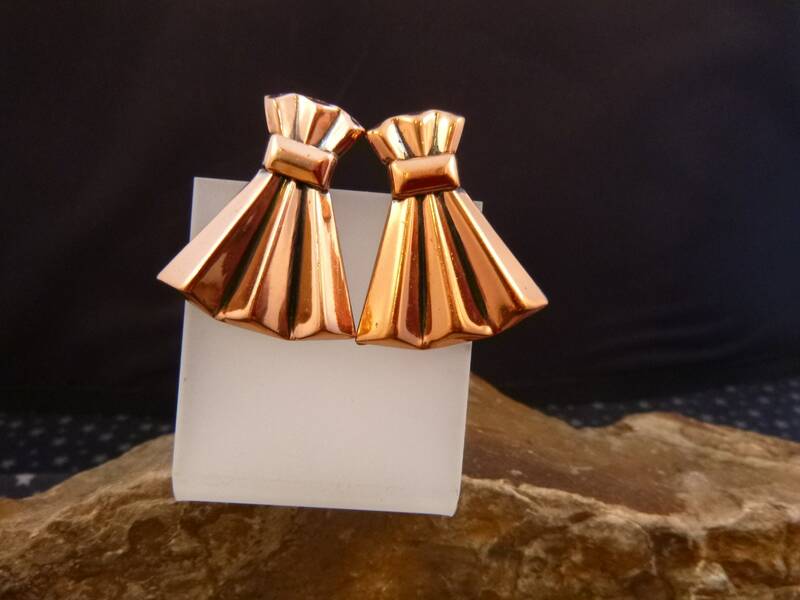 The earrings are in good vintage condition, showing average wear for their 60+ years of existence. They have a warm patina and a clip on apparatus that is firm and holds well. 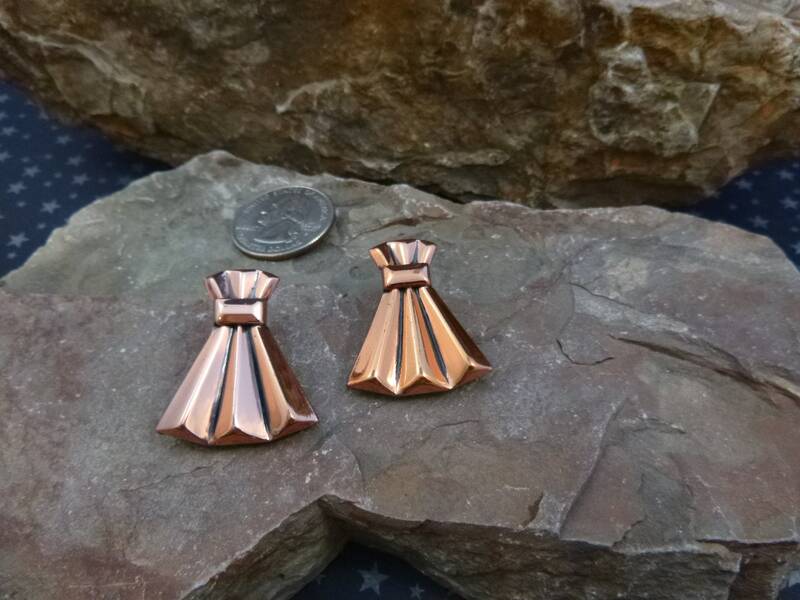 They are big and bold measuring 1.25” in length and 1” wide. I mistakenly photographed them upside down; the larger fan part goes up the ear lobe. The pictures offer greater perspective on their mid century modernist style and condition.